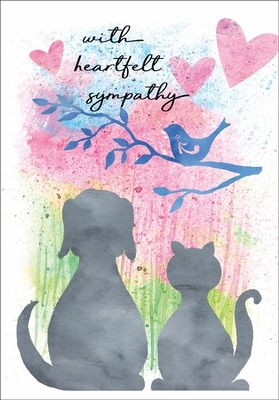 Pet Sympathy Cards for Professionals | it takes two, inc. When your client looks at this hopeful pet sympathy card, they will be reminded of the good times they shared and the good care their pet received from you and your staff. A few words of condolence mean a lot to someone grieving such a loss. 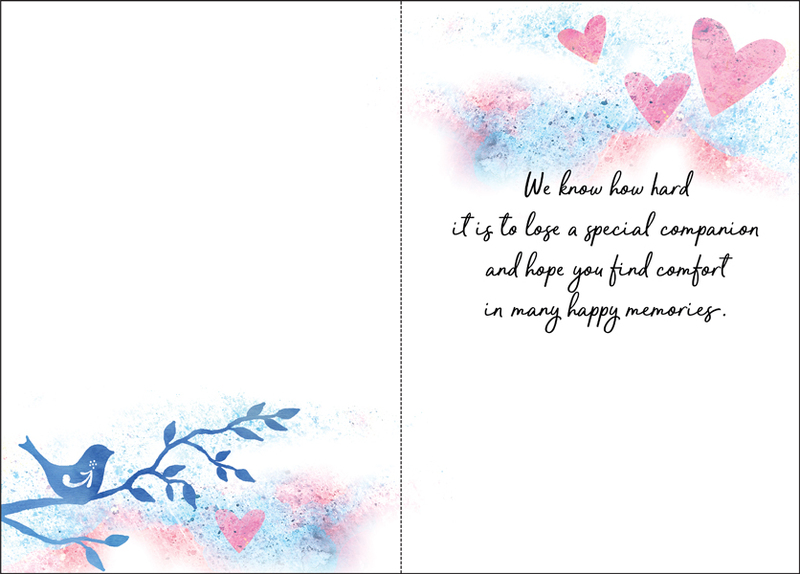 Inside: We know how hard it is to lose a special companion and hope you find comfort in many happy memories.